The Jeep Grand Cherokee’s a rather likeable mid-sized SUV. Albeit one that’s starting to feel its age now. Back when it was launched in 2011, the current Jeep Grand Cherokee was comfortably at the higher end of the midsize SUV class. 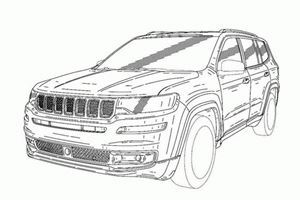 For sure, there were hiccups here and there, but on the whole the then-fresh-faced Grand Cherokee was a commendable accomplishment from Jeep. Fast forward to the present day, though, and the Jeep Grand Cherokee doesn’t impress as much. Though it’s remarkable that this mid-sized SUV hasn’t crumbled into outdated obscurity, it’s worth pointing out that the crop of more recent rivals has certainly made the Jeep Grand Cherokee feel dated in quite a few areas. That’s not to say there’s little to find appealing in the Jeep Grand Cherokee. On the contrary, it’s a fine all-rounder that should be on your radar if you’re just after dependable family transport or a mid-sized SUV that’s genuinely capable as an off-roader. If you’re after neither, though, then we can’t quite bring ourselves to recommend the Jeep Grand Cherokee over its more accomplished competitors. That’s not to say the cabin quality is still top notch, mind. Considering how long it’s been on sale for, the Jeep Grand Cherokee has aged remarkably well – and especially in terms of the interior, which is usually the first area in a car that begins to betray how old the original design is. That’s not to say the cabin quality is still top notch, mind. For example, the plastics further down the cabin do feel a little bit cheap by current standards for a car with a base sticker price of just over $30,000, and the slightly clunky touchscreen infotainment system is also starting to show its age. That said, the overall fit-and-finish is still pretty good overall, and the rest of the controls outside of the touchscreen are intuitive to operate and legible to read. Overall room for passengers is also pretty good by class standards. Admittedly, the volume on offer isn’t quite as generous as you’ll find in rival cars (a Ford Edge, for example, has more head, shoulder and legroom for the driver and the passengers), but there’s still enough space on offer to accommodate taller people in admirable comfort. Plus, as the foot wells are large and the transmission tunnel isn’t too obtrusive, there’s enough room for the passenger relegated to the middle seat to place their feet. It’s worth pointing out, though, that a reason for this relative amount of space is that Jeep hasn’t fitted a third row of seats in the Grand Cherokee. A tad disappointing, then, that the trunk is on the smaller side by the class standards, with the 36.3 cubic feet capacity being behind the 39.6 cubic feet capacity of the Nissan Murano. Thankfully, the Jeep Grand Cherokee does redeem itself by having no load lip, and the trunk space itself is also handily boxy in its proportions. Fold the rear seat backs, and the trunk capacity extends to an impressive (if, again, a distance away from what the most commodious cars in this class can provide) 68.3 cubic feet, with only an ever-so-slight incline to contend with once the seats are packed away. Making the feat even more noteworthy is that Jeep’s managed to eke out this space in the Grand Cherokee whilst still having a compact spare wheel stowed away under the trunk floor. It’s worth pointing out, though, that a reason for this relative amount of space is that Jeep hasn’t fitted a third row of seats in the Grand Cherokee. Whilst that isn’t necessarily a bad thing (rival cars like the Ford Edge and Nissan Murano are only available in five-seater configurations), we do feel such an aspect is worth highlighting when alternative cars are available that can accommodate seven or more people. 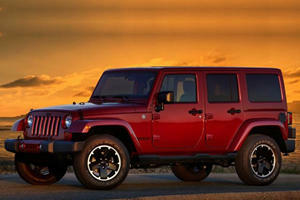 No automotive brand is more associated with off-road proficiency than Jeep. With perhaps the ever-so-slight exception of Land Rover, no automotive brand is more associated with off-road proficiency than Jeep. Right from the brand’s early origins as lightweight reconnaissance vehicle prototypes commissioned by the US Army, the Jeep has been synonymous with cross-terrain traversal abilities, so it’s understandable why the Jeep Grand Cherokee is pretty handy on the mucky stuff. Though there are objectively superior off-road vehicles on the market today, little in the spectrum occupied by the Jeep Grand Cherokee can usurp this five-seater SUV over rutted surfaces and bruising trails. Even the base ‘4x2’ rear-wheel drive models are pretty handy off-road vehicles, with the variants further up the pecking order that come with all-wheel drive (and especially the off-road-centric Trailhawk model) further building upon those characteristics. Essentially, then, the Jeep Grand Cherokee makes a solid case for itself as the ideal off-road-biased mid-sized SUV on the market today (especially when the base version of its closest cross-terrain competitor, the Land Rover Discovery Sport, is $7,000 more expensive to buy than an equivalent Grand Cherokee). However, a majority of Jeep buyers don’t take their cars off-road for sustained periods of time at best, so it’s also reassuring to know that the Jeep Grand Cherokee is particularly well suited to life on paved roads. The Jeep Grand Cherokee nevertheless does an admirable job at isolating the occupants from imperfections in the asphalt. It’s open stretches like highways where the Jeep Grand Cherokee comes into its own, with the ride quality in particular being an area of praise. Though we wouldn’t go as far to say the ride is 100% serene (there is a slight amount of fidgeting to contend with over particularly abrasive surfaces, regardless of whether you go with the regular suspension or the air suspension setup), the Jeep Grand Cherokee nevertheless does an admirable job at isolating the occupants from imperfections in the asphalt. That emphasis on comfort also hasn’t had a considerable impact on the Jeep Grand Cherokee’s driving characteristics. For sure, there is a bit more body lean to contend with when cornering in comparison with what’s provided in more modern rivals, but the lean itself isn’t too prominent considering how tall the vehicle is. Better still, the Jeep Grand Cherokee has a decent amount of grip and traction at its disposal, so you can hold a stable line when cornering in spite of what the body lean may initially appear to indicate. Sadly, other areas aren’t quite as impressive on the Jeep Grand Cherokee, with refinement levels being our biggest bugbear. Though not horrendously intrusive, there is a noticeable amount of wind whistle and tire roar to contend with in the Jeep Grand Cherokee that isn’t as present to this extent on cars like the Honda Pilot and Toyota Highlander. Given the ride quality is good overall, it’s a shame these noise insulation issues hold back the Jeep Grand Cherokee’s cruising credentials. We do think the diesel option in the Jeep Grand Cherokee is especially worth considering. Even before the ‘dieselgate’ scandal erupted in late 2015, diesel engines weren’t exactly popular with a majority of the US car buying public, with many opting for gasoline when choosing which fuel source to power their latest automotive acquisition. However, we do think the diesel option in the Jeep Grand Cherokee is especially worth considering. On top of the fuel economy benefits it has over a gasoline engine, the 3.0-liter six-cylinder diesel on offer is a legitimately good all-round powerplant. Though it is undeniably a bit gruff and noisy in comparison with the smoother gasoline options, the diesel engine is still a moderately refined unit that settles down nicely at a cruise. Only when you put the pedal to the metal and call upon all of the engine’s 240-hp does it immediately reveal itself to be a diesel. Not that you’ll need to use loads of revs, though, as the 3.0-liter unit has a rather meaty 420 lb-ft of torque on tap (for reference, the 6.4-liter eight-cylinder gasoline engine found in the flagship SRT model has 470 lb-ft). Even more useful is the fact this sizeable torque output is available from as low as 2,000rpm, meaning oodles of pulling power is accessible without the need to work the engine hard. Plus, being a diesel, it’s easily the most economical engine you can buy for your Jeep Grand Cherokee. With claims of 22mpg in the city and 30mpg on the highway in the more efficient rear-wheel drive guise (adding all-wheel drive drops both figures by a couple of miles-per-gallon), it’s comfortably the most efficient engine in the range, and better in many cases than what smaller, turbocharged four-cylinder gasoline engines in rival cars can muster. Regardless of what engine you do end up going for, you’ll have access to a pretty good eight-speed automatic transmission. That said, the less powerful gasoline engines aren’t too thirsty: for example, the base 3.6-liter six-cylinder unit in rear-wheel drive cars can still return 19mpg in the city and 25mpg on the highway, (adding all-wheel drive reduces economy by one mpg). On top of being moderately close to what the diesel can manage, the gasoline unit’s on par with what comparable engines in competitors can manage. Plus, it’s fairly smooth and refined (if not in a class-leading way) – which is good, as you need to work the engine a fair bit in order to access the 290-hp and 260 lb-ft outputs that are accessible at the higher edges of the rev range. If it were our money buying the Jeep Grand Cherokee and were forced to wear our sensible caps on, then it would mainly be a tussle between those two engines for us – with the likelihood being we’d stick with the gasoline engine, as you’ll need to spend at least $37,000 on a Jeep Grand Cherokee just to have the option to specify that unit. Those of you who can stomach higher fuel bills or want more performance, though, will be satisfied to know there’s a huge 5.7-liter eight-cylinder engine with 360-hp and 390 lb-ft of torque on offer further up the pecking order, with appropriately low fuel economy figures of 14mpg in the city and 22mpg on the highway. For sure, it won’t be the cheapest to run, but this massive motor has more than enough grunt for most buyers – that is, unless they have their hearts set on the 6.4-liter, 475-hp and 470 lb-ft eight cylinder engine. Yes, that’s right: a motor befitting of a muscle car can be specified in an off-road-ready mid-sized SUV, and (as wonderfully impractical for most Grand Cherokee buyers it may be) the Jeep range is marvellously more interesting as a result. Putting out sensible caps back on again, it’s reassuring to know that, regardless of what engine you do end up going for, you’ll have access to a pretty good eight-speed automatic transmission. In fact, we reckon it could be the highlight of the entire drivetrain: gear changes are smooth and precise, regardless of whether you change gears manually or leave the transmission to do its thing, and the gearbox itself is very refined. Perhaps most importantly of all, though, the ‘box suits each engine extremely well – with the array of forward ratios on offer meaning the driver should be able to keep the engine in its respective optimum operating range. The Jeep Grand Cherokee is available in various different trim levels. Unusually, considering our current car industry trends, the Jeep Grand Cherokee is available in various different trim levels. No less than seven specification variants are on offer in the standard Grand Cherokee range, with that total increasing to 10 once you factor in the two ‘75th Anniversary’ and the performance-oriented SRT versions of the Jeep. 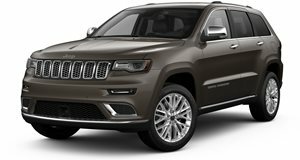 As a result, choosing which Jeep Grand Cherokee model is right for you isn’t exactly easy – though we reckon, due to the rather sparse amount of equipment on the entry-level ‘Laredo’ trim (dual-zone climate control, a reversing camera and rear parking sensors are about as fancy as the standard equipment levels get), we recommend you consider the $35,375 75th Anniversary trim, as that comes with the sort of features you expect from a vehicle of this caliber (18inch alloy wheels, heated and power-adjustable front seats and an 8.4-inch touchscreen interface that replaces the tiny 5inch system seen on the Laredo-spec Jeep Grand Cherokees) whilst being fairly reasonably priced. 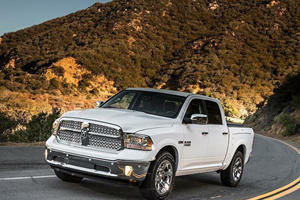 There’s a three-years/36,000-miles bumper-to-bumper and five-years/60,000-miles powertrain warranty. If more features are required, then there are the $36,195 ‘Altitude’ and £37,995 ‘Limited’ trims, with the latter being especially noteworthy for the fact it’s available with the diesel engine we’re particularly fond of. That said, there some disappointments here: items like navigation, adaptive cruise control and emergency autonomous braking can only be added on Limited models by spending $5,795 on optional packages, and aren’t available at all on Altitude models. Thankfully, the Jeep Grand Cherokee is a more impressive piece of kit when it comes to safety credentials and reliability. As a result of its fairly encompassing array of safety features (ranging from items like hill start assist to the obligatory complement of airbags and stability systems), the Jeep Grand Cherokee was able to, in its rear-wheel drive and all-wheel drive guises respectively, secure a four and a five-star safety rating in its most recent crash test. Reliability should also be pretty good: most of the gear used in the Jeep Grand Cherokee has been present in Jeep models for years now, and there’s a three-years/36,000-miles bumper-to-bumper and five-years/60,000-miles powertrain warranty for the Jeep Grand Cherokee too.